Discussion in 'The Vapor Lounge' started by lwien, Mar 12, 2016. Yup. Early days of Fleetwood Mac with Danny Kirwan, Bob Weston and Bob Welch were the best! Never heard of Weston until now. Seems he was fired for sleeping with Mick Fleetwood's wife. I remember Welch killed himself. Peter Green (my favorite) went loony. RIP Leon White AKA Vader. 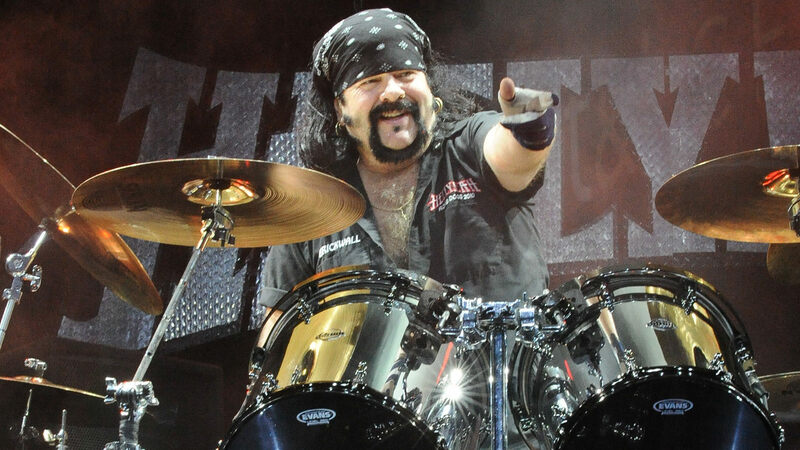 RIP Vinnie, now you can jam with your brother at Ozzfest of the heavens. lazylathe, RUDE BOY, SSVUN~YAH and 1 other person like this. Mr. Gweilo 420, Abysmal Vapor, Helios and 1 other person like this. Richard Harrison, the old man from Pawn Stars passed away at 77.
lazylathe and DeeCee5 like this. CarolKing, Summer, mccringleberry and 2 others like this. Joe Jackson dead at 89 years old. Hogni, Summer, CarolKing and 2 others like this. Dead, but still lookin' sharp! If that was a reference, wrong Joe Jackson. grampa_herb, Jill NYC, Silver420Surfer and 2 others like this. grampa_herb, Jill NYC, Summer and 2 others like this. Good thing I did not go off on how Joe killed his career by refusing to do music videos! Aretha Franklin died at age 76. Helios, ViCKi LEEKX, mccringleberry and 15 others like this. ViCKi LEEKX, mccringleberry, SSVUN~YAH and 3 others like this. Senator John McCain has passed. May he rest in peace. pxl_jockey, mccringleberry, DeeCee5 and 6 others like this. Sad news about John McCain indeed. Shortly after his glioblastoma diagnosis, I emailed my two MN senators (and direct to Sen McCain) to please nudge him to try medical cannabis as it has shown to be effective against brain cancer (which is a very aggressive cancer). It's a shame he didn't try cannabis oil. pxl_jockey, RUDE BOY, mccringleberry and 5 others like this. pxl_jockey, StormyPinkness, RUDE BOY and 8 others like this. I disagreed with him politically most of the time, but aside from that period of lunacy with the Alaskan 1/2 governor I always felt that he was a patriot who loved this country. May his memory be a blessing to his friends and family. PS. trump's disespect for McCain has got to be the most dickheaded, unamerican thing ever.. the guy was a POW and he turned down an opportunity to go home so that other POW's could go ahead of him for fucks sake. Other Side, pxl_jockey, His_Highness and 6 others like this. His_Highness, macbill, grampa_herb and 4 others like this. Just gotta make those days count for something. His_Highness, macbill, t-dub and 4 others like this. Burt showed us how to be men when lost in the swamp. mccringleberry, His_Highness, macbill and 3 others like this. Golden times for machos....where is my breast hair toupet?? His_Highness, macbill, grampa_herb and 1 other person like this. I liked Burt, enjoyed the "Smokey and the Bandit" movies, also "Gator" was good. "Hooper" was interesting as well. Like @lwien said above . . . its another reminder how old we continue to grow. But hey, it beats the alternative right? RUDE BOY, His_Highness, macbill and 2 others like this. But hey, it beats the alternative right? Yup. So far it does but that may not always be true. t-dub, macbill, RUDE BOY and 2 others like this. Any day above ground is a good day imo. t-dub, macbill, Hogni and 2 others like this.